I couldn’t wait to complete my adapter, so as soon as it was usable, I got this PZ30 carb bolted on. 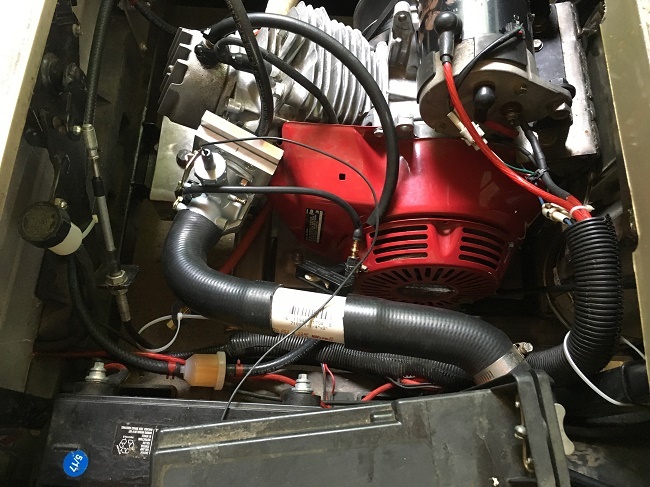 The only way I could even get it running at anything close to resembling an idle speed was to have the choke fully closed. And yes, that is a piece of wire that I’m using as a throttle cable. 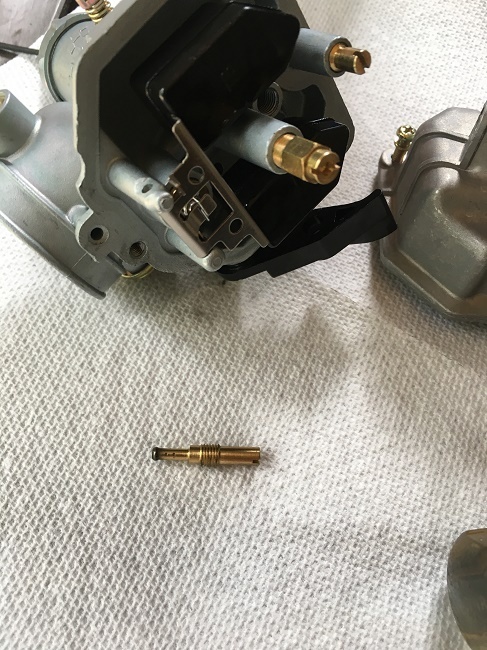 Using the smallest micro drill I have, I opened up the pilot jet. I could now get it closer to idle speed without the choke. It was still faster than I would like and the slide is just about fully closed. I need to go back in and open it up some more. I got things hooked up enough to where I could take it for a quick drive. Once I get into the range of the needle, the carb works great. 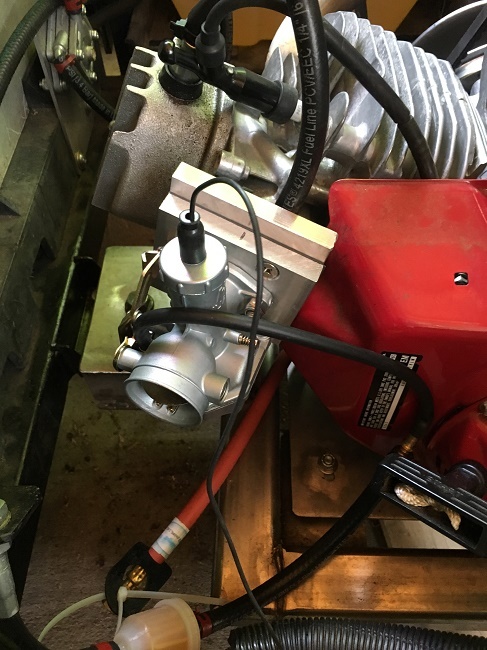 This carb is much more responsive than the Keihin generator style carb. The needle is currently in the 2nd richest clip setting. I think WOT is a little lean, but I want to get everything else cleaned up first. If WOT is lean, getting the pilot dialed in will help with that. This entry was posted on June 21, 2018 by Harold Bawlzangya Racing. It was filed under golf cart .